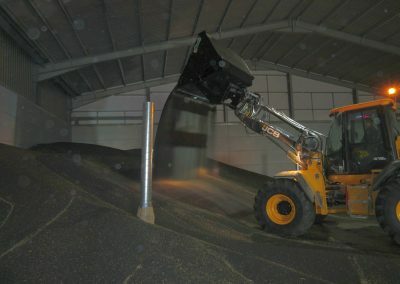 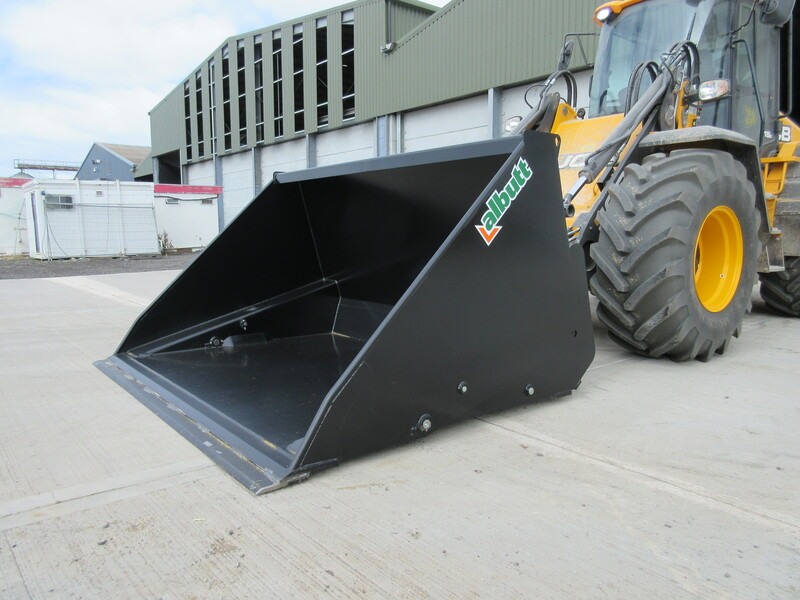 The Albutt ‘A’ range of High Tip Buckets are an ideal solution for increasing grain loading times. 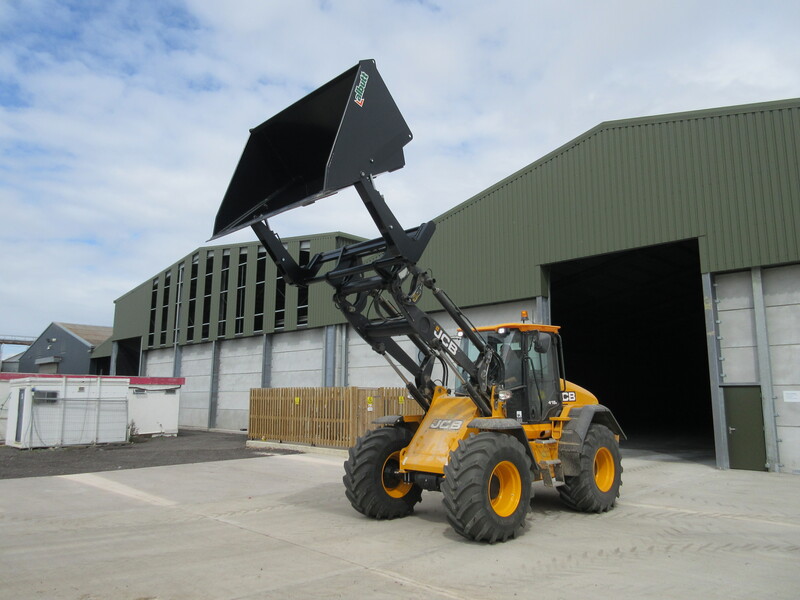 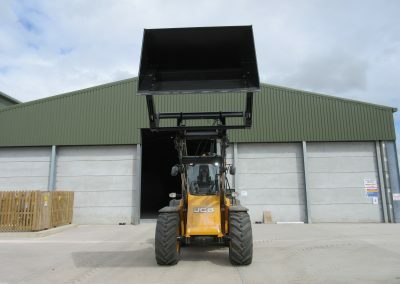 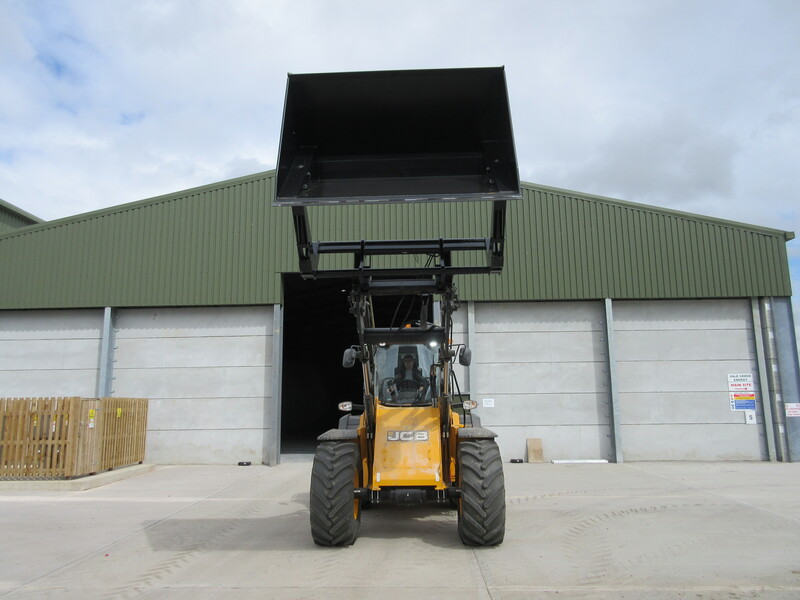 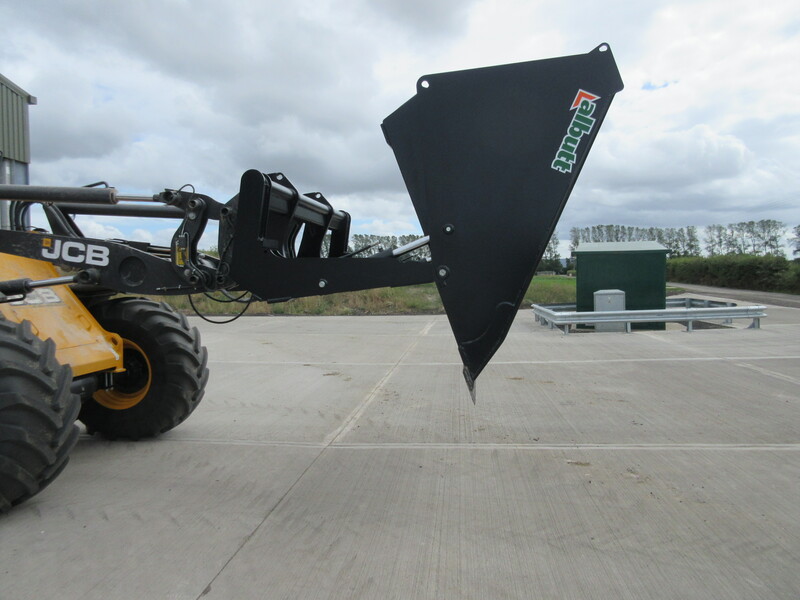 The tipping mechanism allows for an extra 1 meter of height and forward reach – ideal for use on loading shovels loading into high sided trailers. 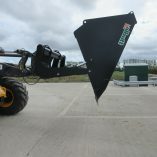 The Hardox cradle is designed to minimise grain traps whilst also incorporating a remote greasing feature. 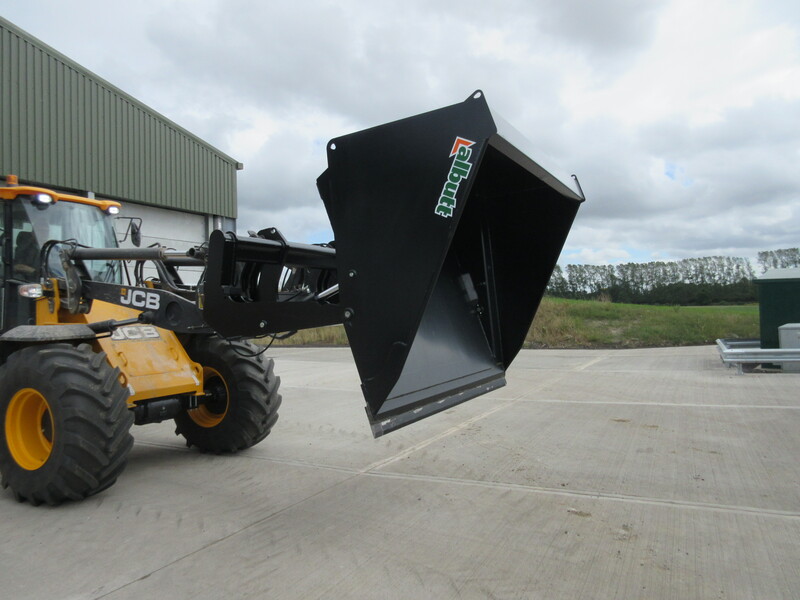 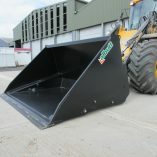 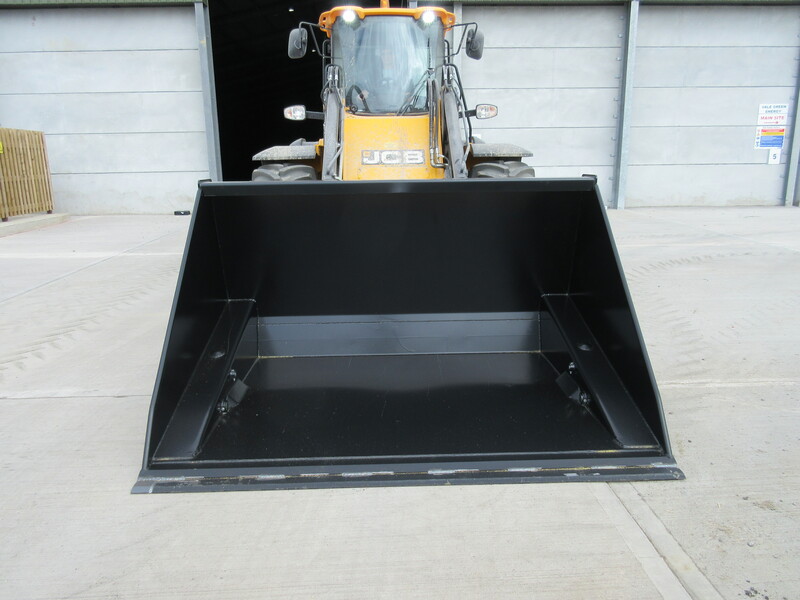 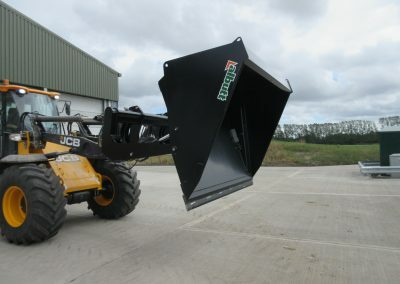 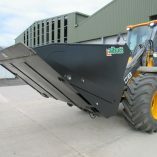 On return from tip, the bucket rests on large rubber bump stops both protecting the tipping frame and dampening noise. 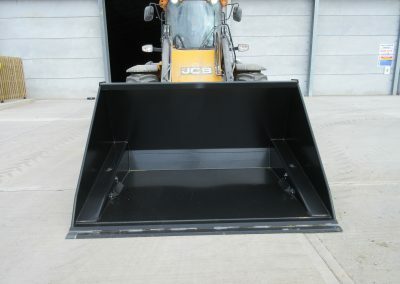 All buckets feature a 500 brinnell weld on toe plate as standard with the option of a second bolt on reversible version. 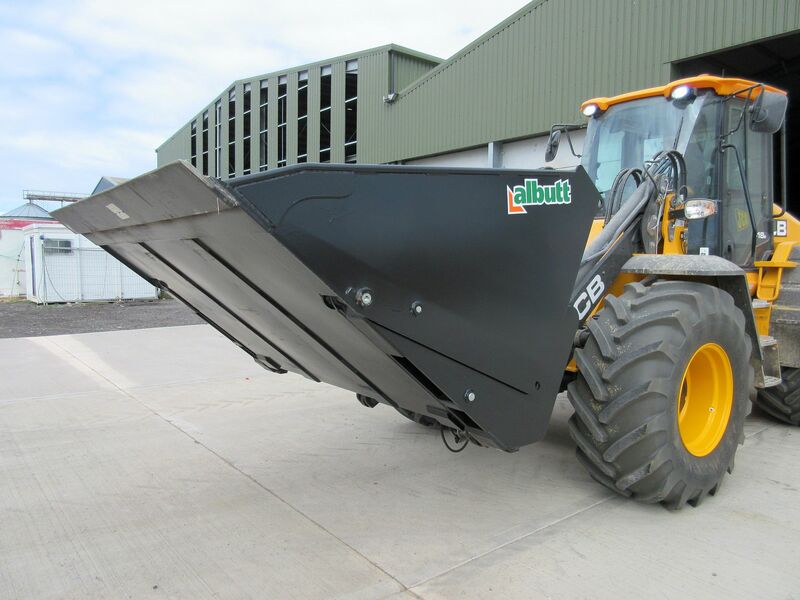 Albutt high tip bucket from Robin Normington on Vimeo.